Desired Cul-De-Sac Location In Crystal Valley Ranch. Fantastic Floor Plan With Formal Living And Dining Rooms. Lot's Of Hardwood Floors On The Main Level. 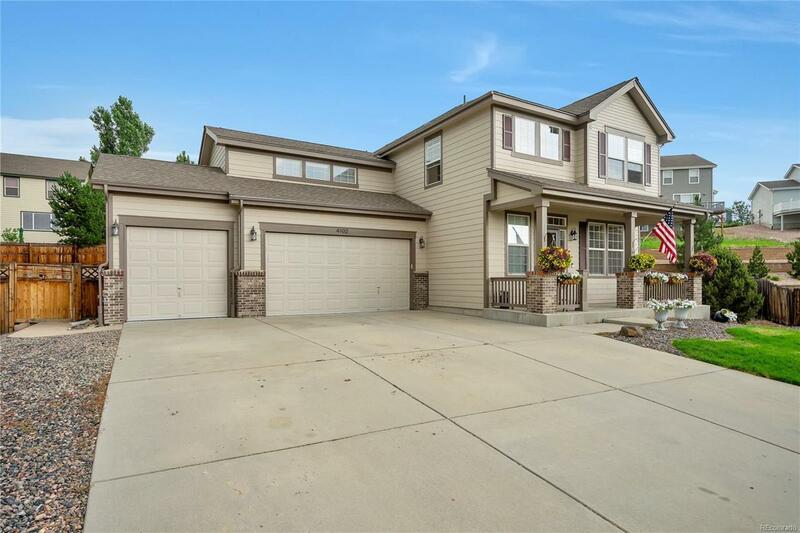 Three Bedrooms And Four Bathrooms With A Finished Basement Makes This A Dream Home. Huge Bonus Room On Upper Level Could Be Used As An Office, Media Room, Gym Or Game Room. The Expansive Kitchen Features Stainless Steel Appliances, Center Island, Granite Countertops And A Large Pantry. Very Nice Master Suite With His And Her Closets And A 5-Piece Master Bath. The Fully Finished Basement With 3/4 Bath Can Be Used For A Variety Of Purposes. A New Upstairs Laundry Room For Your Convenience. The Amazing Backyard, Facing East, Is Huge With Stamped Concrete Patio, Garden Area, Playground Area And More Room To Customize To Your Needs. A 14 Month Silver Blue Ribbon Home Warranty Is Included!